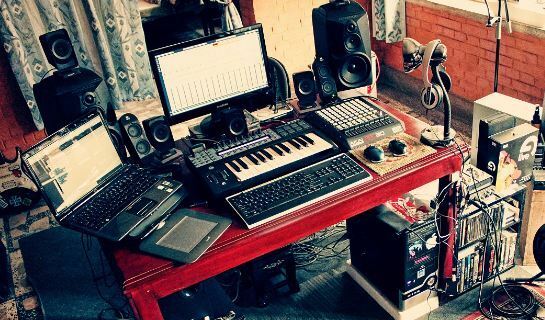 Learn how to create the perfect home studio with this FREE PDF, “10 Things to Consider When Creating Your Home Studio (That You Probably Haven’t Thought About Yet)”. This setup takes advantage of a mobile rolling storage rack to keep everything nice and tidy. 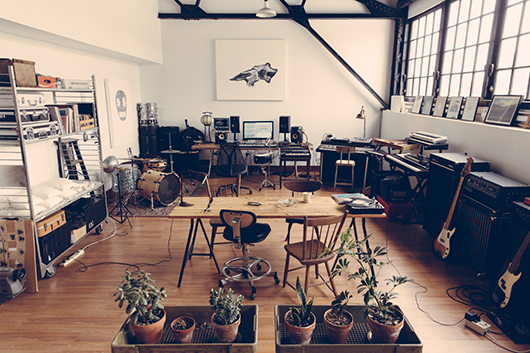 Stylish, wide open space to to record and mix all in one room. The all white walls and posters along with the hard wood flooring makes this setup look very clean and modern. 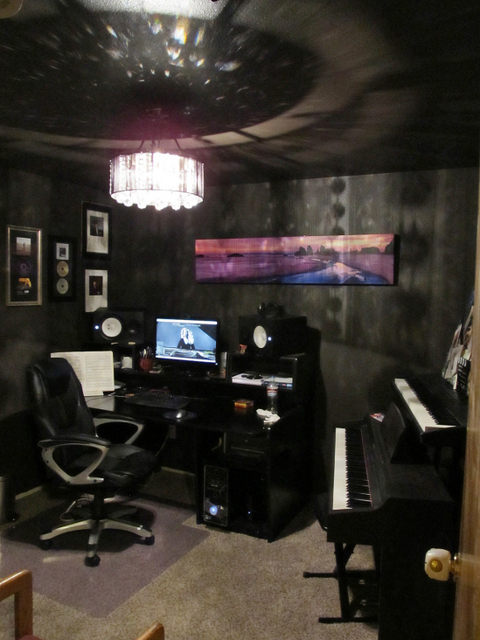 Batman style hideaway studio setup. This piano flips open from a stowaway music workstation. Super cool futuristic design with light up display, all white furniture, and hard wood flooring. That’s one humongous screen. 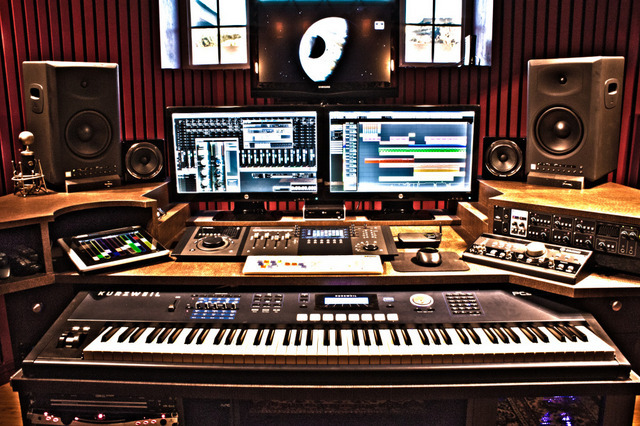 Having a huge screen allows you to have multiple plugins open at the same time you are writing, producing, and mixing your music. 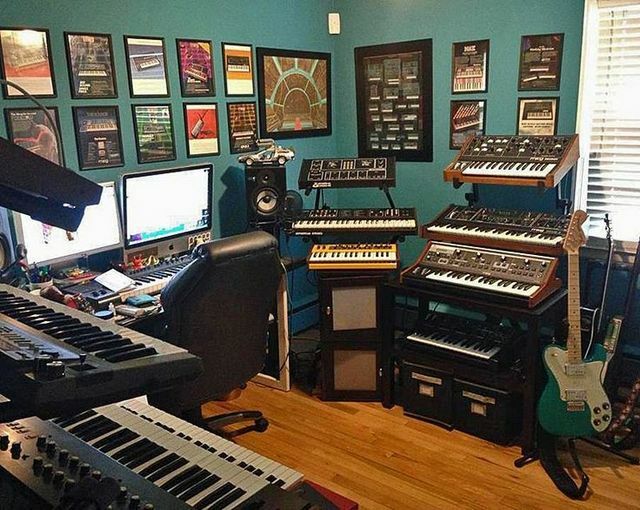 Keyboards galore. This setup is surrounded by a barrage of keyboards in three directions. This is Misha Mansoor’s, guitarist of the djent metal band Periphery, home recording studio setup.It has Dual Fractal Axe Fx units for jamming out as well a bunch of other rack gear units for effects, mixing, and recording. Tons of gear going on here. 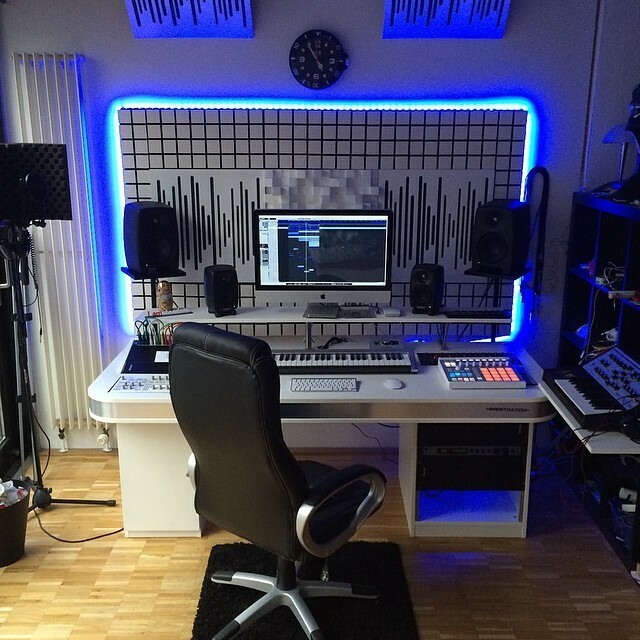 I would love to have this setup. 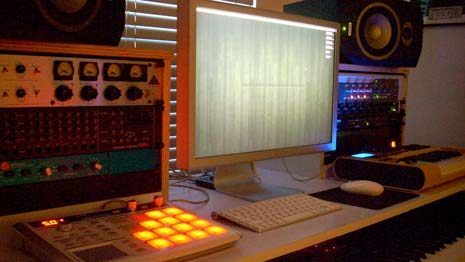 The dual screens makes mixing and producing at the same time easy and all this gear ensures that you never want to leave. 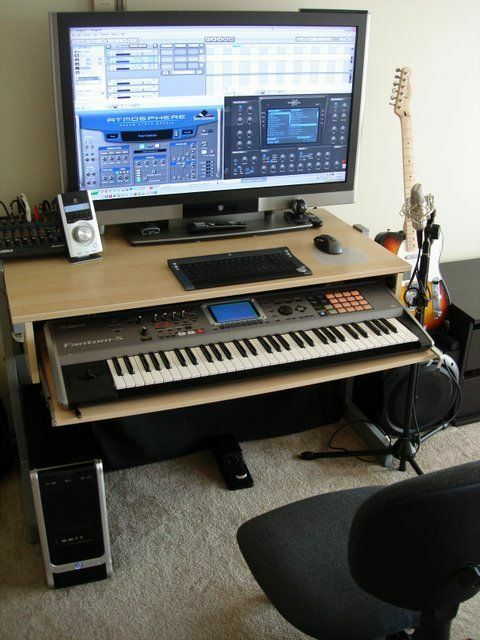 Nice all in one room solution for recording and producing music. The sound absorption panels help to reduce reverb and sound reflections in the room. The four screen setup is also pretty sweet! Simple setup that takes advantage of a pair of rack units to keep everything organized. The all white makes this setup look very clean and modern. 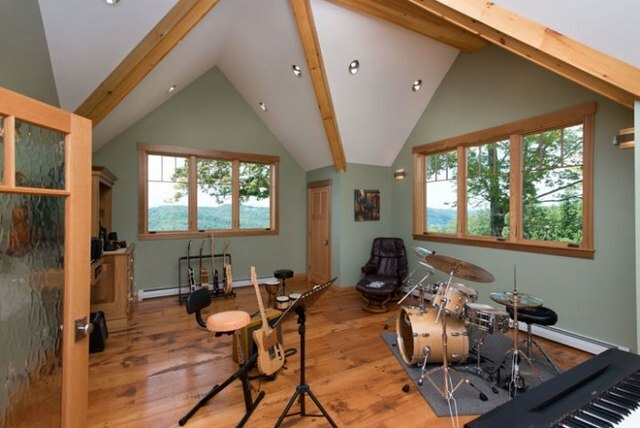 Great, open space for recording music, especially drums. Simple, clean design that makes use of a very small space. 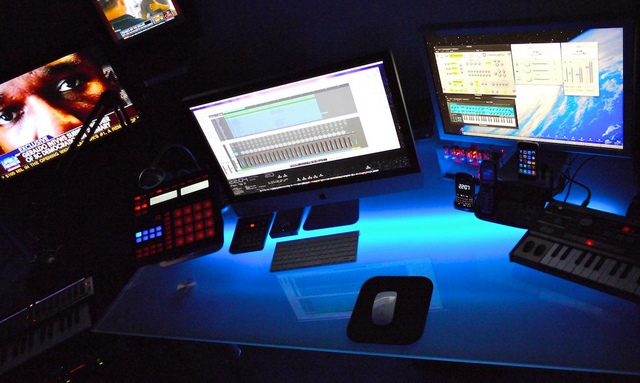 Light up table to make producing and mixing in the dark a breeze. The all black furniture and walls give this setup a very dark and mysterious vibe. 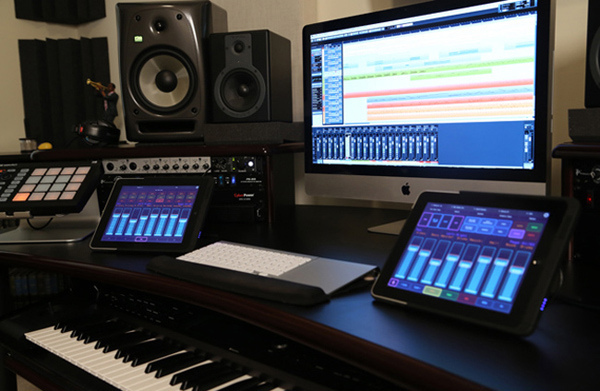 Dual iPads with Mac setup for easy mixing. 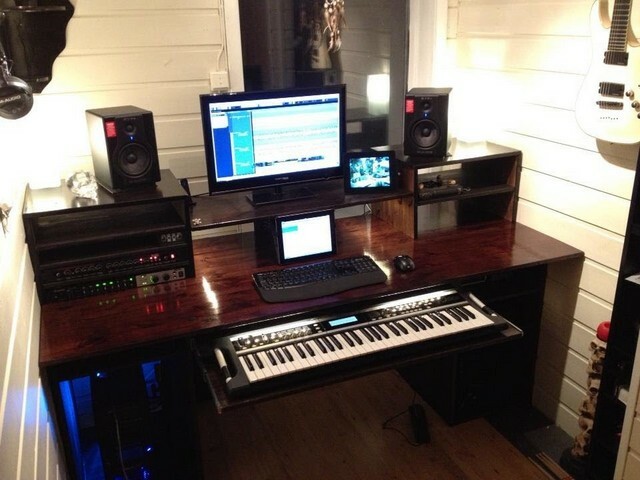 This setup takes advantage of using two computers, one desktop and a laptop. It also features what looks like four different sets of speakers to compare mixes on different listening environments. 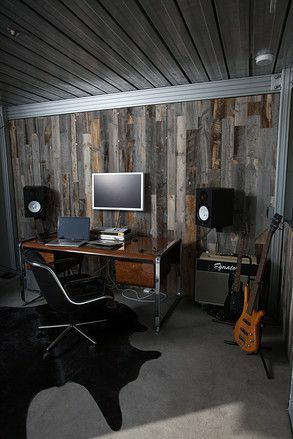 The wood paneling in this home studio makes for a very clean and modern design. Again, lots of gear and lighting going on here but everything is organized well. Looks like there is a pretty cool view from the room too. 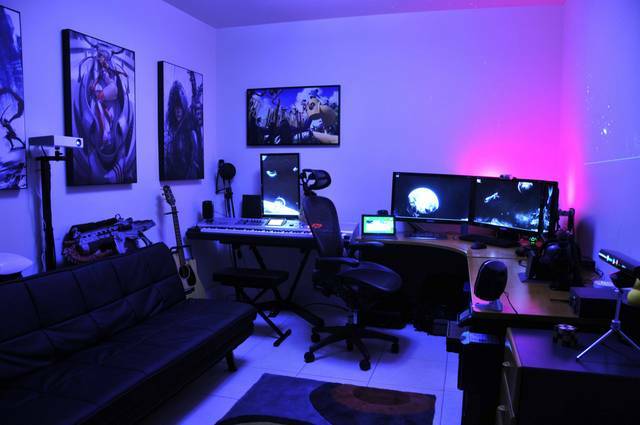 This setup is a home studio and gaming room all in one. The lighting also gives this setup a very mellow vibe. 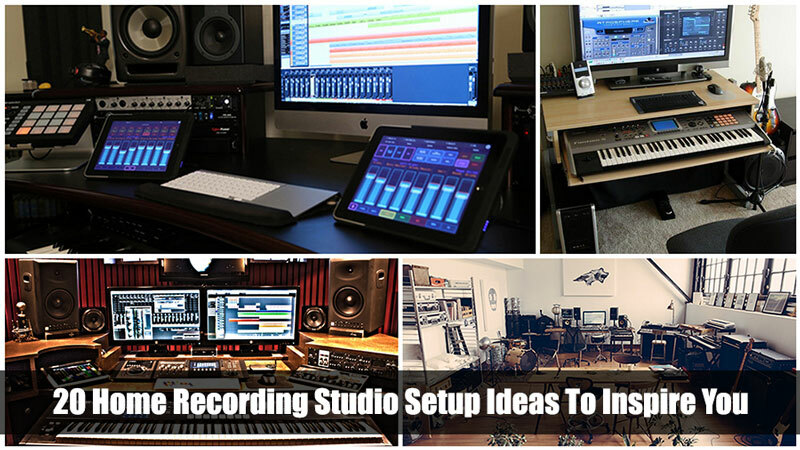 I hope these setups help to inspire you to create your own unique home recording studio. 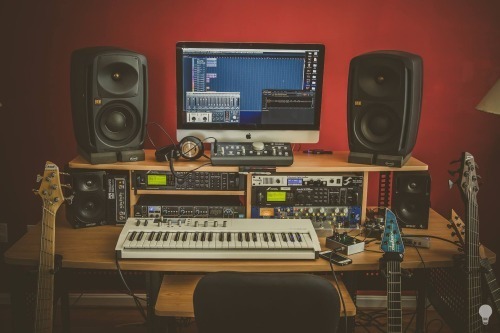 If you want to see more like these you can check out our Pinterest Board dedicated solely to showcasing home recording studios. In addition, if you want to receive updates about future articles like this one as well as others regarding home recording, tips and techniques, advice, and more, sign up to the Infamous Musician Newsletter below to receive email notifications for future posts. 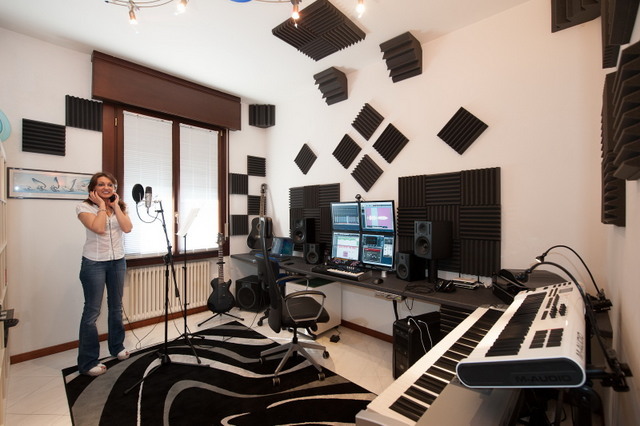 Those 20 home recording studios are pretty cool. 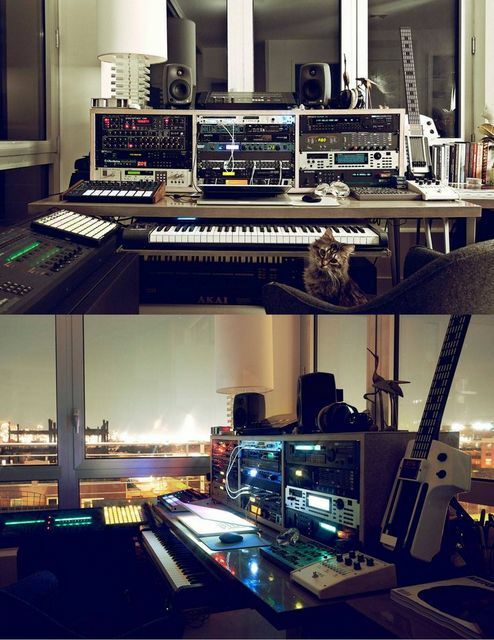 It’s neat how people are able to create such a studio like that. 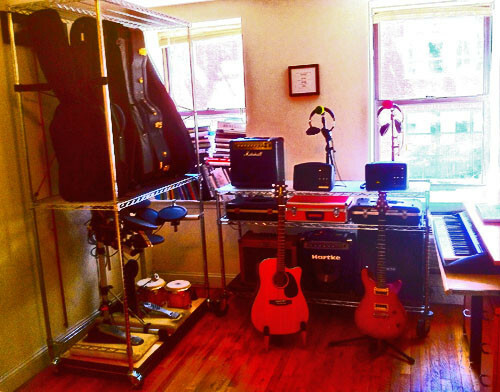 Seeing those studios has me thinking about maybe renting one for my guitar band. We recently formed a group to play several rock music that we’ve made up and are excited about sharing our talent. I especially liked what appears to be an old upright piano that was gutted and turned into a workstation. Great reuse of an old cabinet.